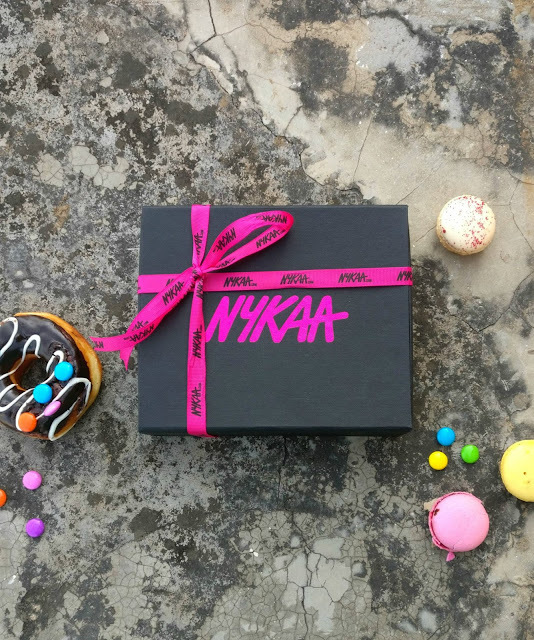 The concept of beauty boxes or subscription boxes have been in India since quite some time but I never really subscribed for one, because I always had this thought that what if I don't like the products offered by them or if its even worth the money spent! 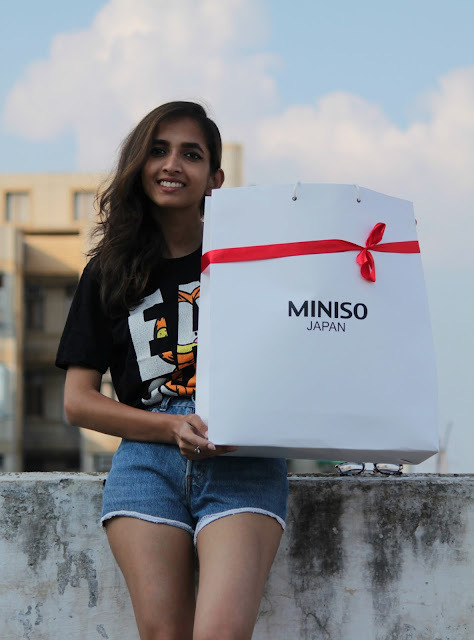 But this month I decided to give one a try & chose to go for the most loved brand by the masses i.e. 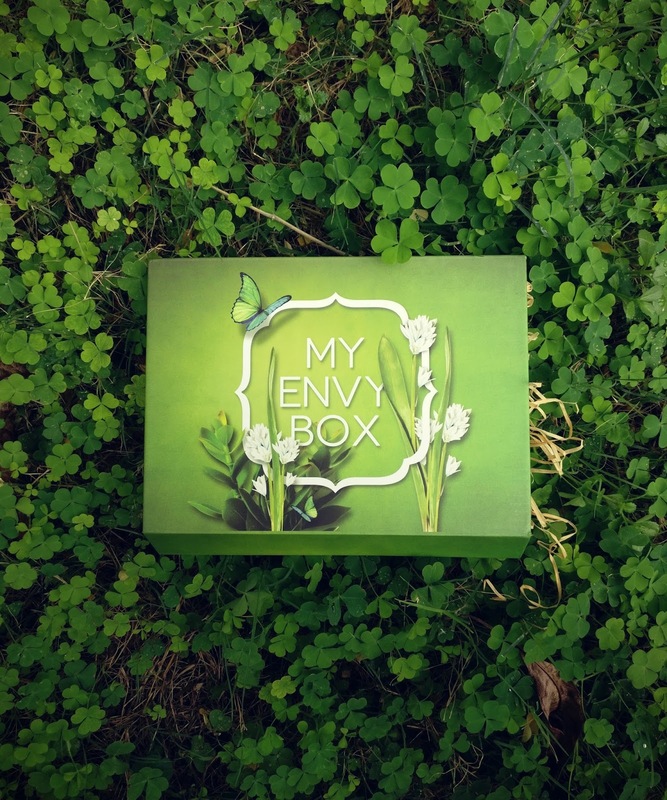 My Envy Box! 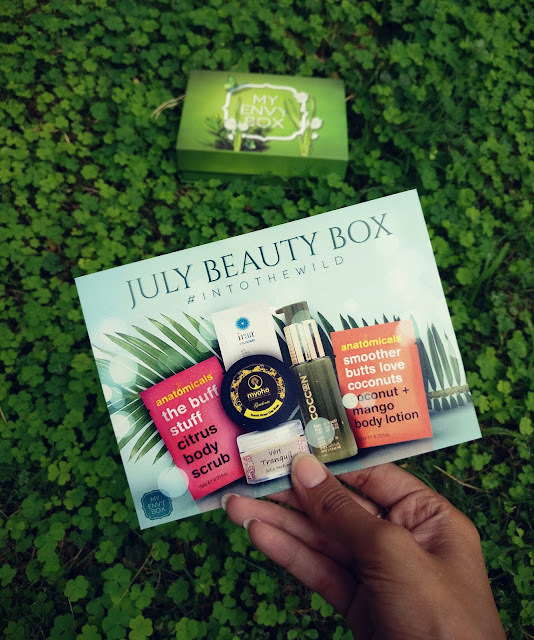 Call it sheer luck, but I really wanted the box to offer more no.of skincare products since I am trying to maintain a skincare routine these days, and I am glad it did. Packaging: My Envy Box July edition came in a sturdy green colored box with a magnetic lock. The lush green for me depicts the environment post monsoon. The products were beautifully packed with hay to keep damage at bay! While the products claims to reduce lines & wrinkles, one can only notice this change after using it for a longer period. 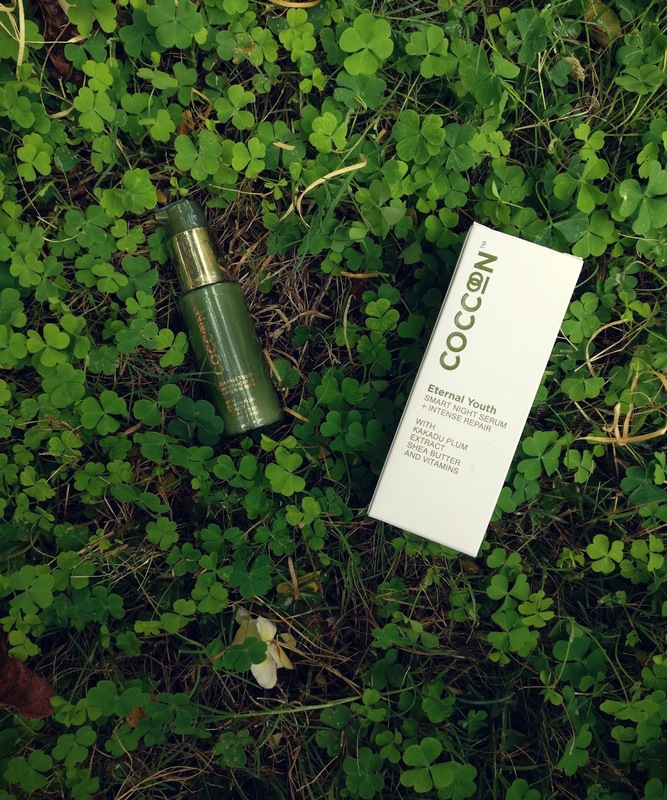 After using this lightweight serum for about a week, I experienced a freshness on my face. Love the fact that it absorbs easily & is non-greasy. 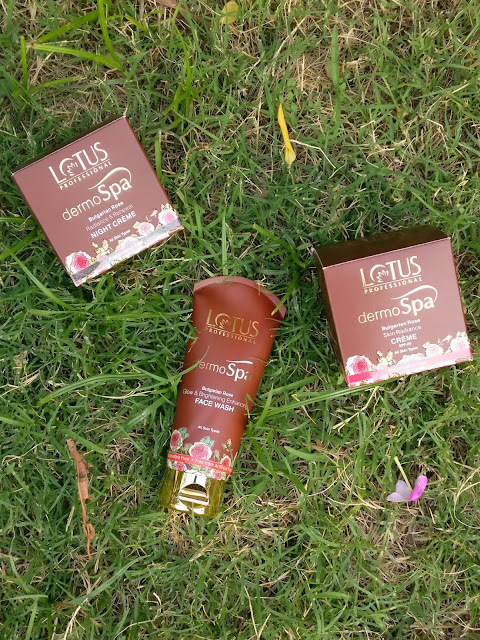 The main ingredients include Kakadu Plum & Shea Butter! 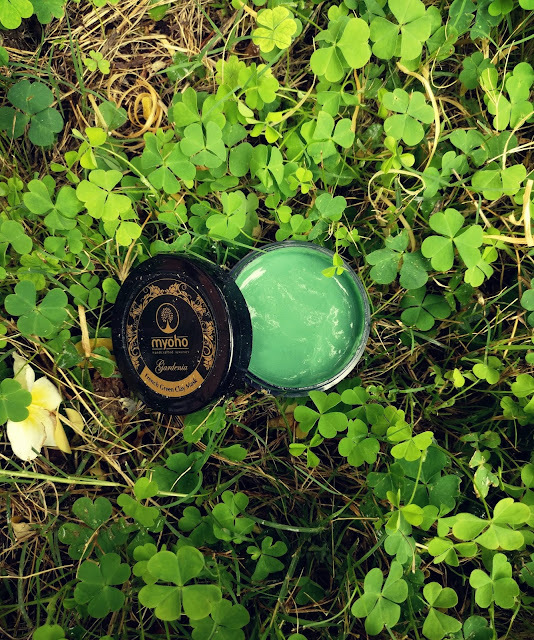 Easy to carry & paraben free, this 100% natural solid perfume is made of cocoa butter, almond oil, bees wax & fragrance oil. 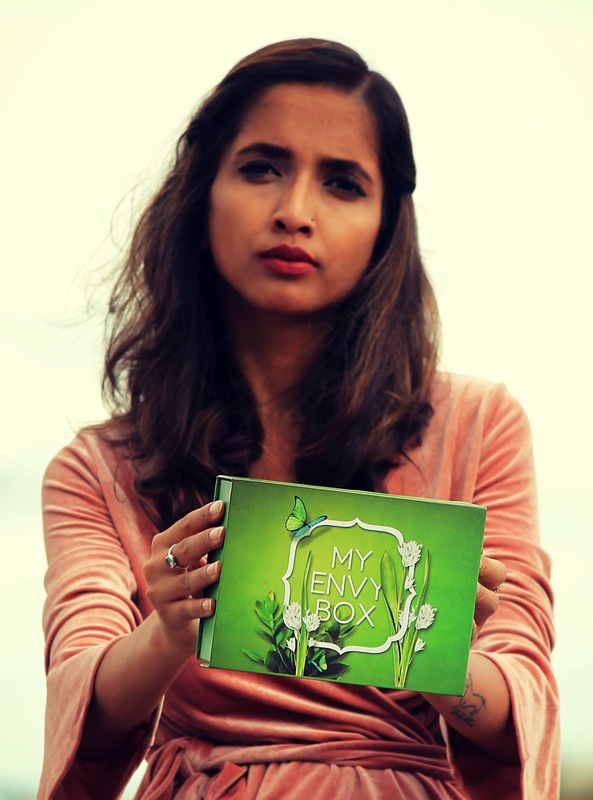 Slightly higher on the price side if bought individually, I think it is a steal buy in this month's My Envy Box! The fragrance stays for 1-2hrs & require re-application post that. This mask comes with a goodness of Fresh Green Clay that helps in cleaning the pores & detox the skin. My mother tried this product, and I could personally see a visible difference in her skin texture. It looked a lot more hydrated, soft & fresh. 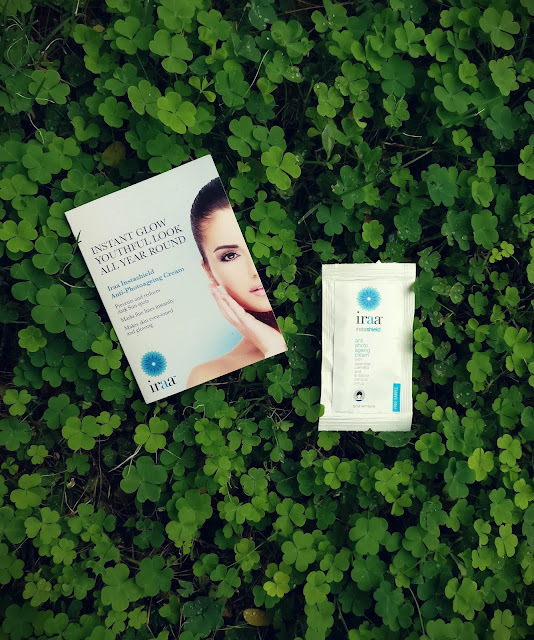 The product claims to work well for all skin types. 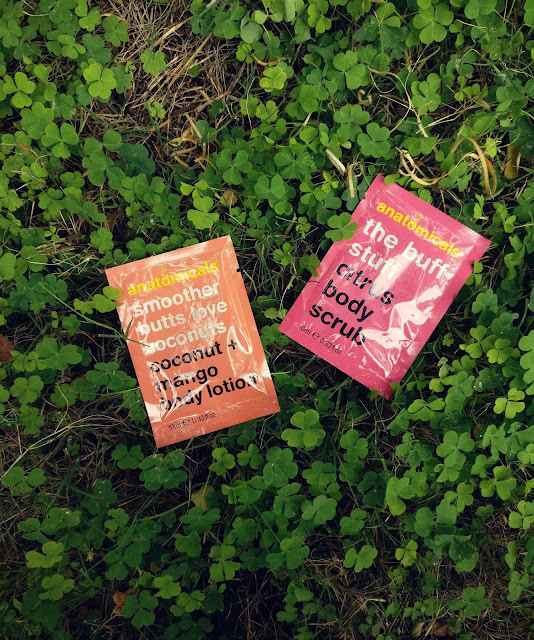 Anatomicals Citrus Body Scrub has a tangy fragrance of grapefruit, slightly runny in consistency but works really well for a trial! Gives a velvety soft effect to the skin & nicely scrubs away the dead cells. Definitely buying a full size product! Anatomicals Coconut and Mango Body Lotion is extremely light in texture & absorbs easily. The freshness of coconut & mango extracts keep the skin moisturised throughout the day. The full size product (50gm) retails for 789 INR, therefore I felt a 3gm sachet is too less to determine the effect of the cream! One plus point is that it comes with SPF 30 and protects your skin from UVA & UVB rays. 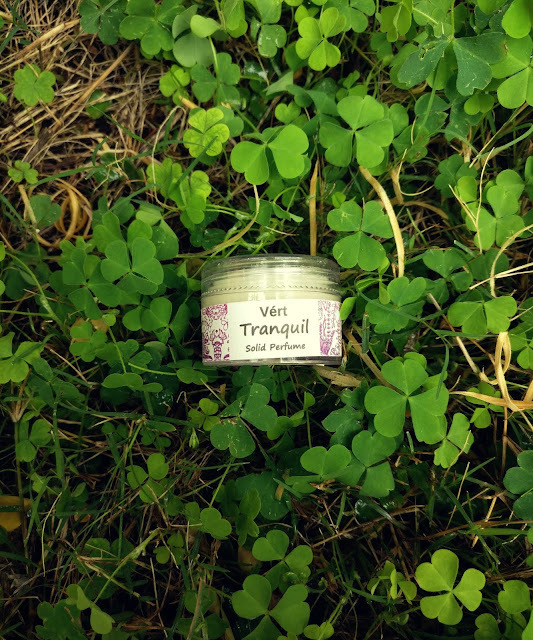 The product also claims to improve the skin's texture. 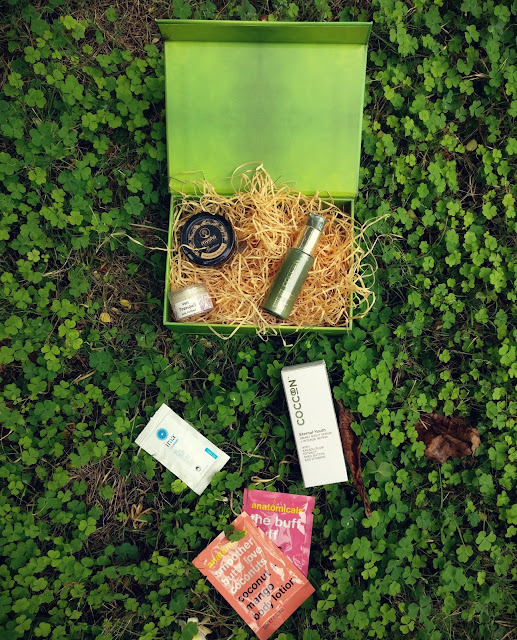 This was my review of My Envy Box - July 2017. Hope you found it helpful!